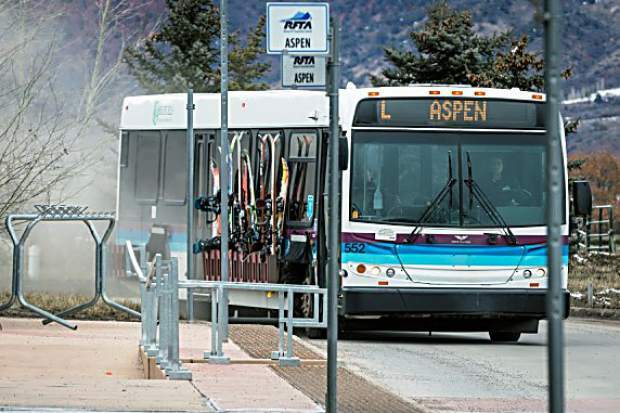 An initial poll shows a possible Roaring Fork Transportation Authority ballot question in November seeking a property tax increase to help fund the bus system would be in a close fight for approval. 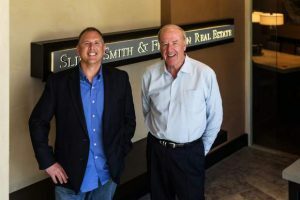 Todd Vitale, founder and principal of Vitale and Associates from Denver, told the RFTA board of directors Thursday that about 48 percent of voters surveyed said they would definitely or probably lean toward approving a ballot question seeking a property tax increase. Another 41 percent were opposed, while 11 percent were unsure. “In my assessment, it’s within reach but not a slam dunk,” Vitale said. The RFTA board must decide in coming months if it will put a property tax proposal on the November ballot in its member jurisdictions. Voters previously have approved a sales tax to support the bus system. The state Legislature has given entities such as RFTA the power to seek a property tax. Bill Ray, a RFTA consultant on election issues, said the poll results show there is “hard work ahead” to determine what appeals to voters in RFTA’s plan and to get the message out about the ballot proposal. Vitale said if RFTA’s member jurisdictions were unified in support of the ballot question, it would help sway voters. They would figure, “If leadership is all in agreement there, it must be something that’s needed,” he said. 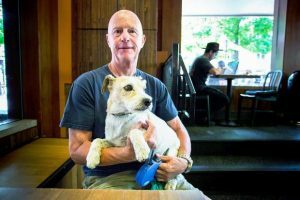 If consensus cannot be achieved among the town and county elected officials, the ballot proposal “would be toast,” he said. All the towns between Aspen and New Castle belong to the bus agency, as do Pitkin and Eagle counties. Garfield County isn’t a member but it does contribute for some service in the Interstate 70 corridor. Vitale presented the board with a poll results from 20 questions. His firm contacted 300 likely voters between Aspen and New Castle by telephone between Jan. 20 and 22. Vitale said the poll targeted likely voters in the November election. The demographics of the poll respondents were representative of the RFTA membership region — with 46 percent of respondents in Garfield County, 39 percent in Pitkin County and 15 percent in Eagle County. The margin of error was plus-or-minus 5.7 percent. The presentation did not include 525 pages of cross tabulation data. “The demographic data is enough to choke a horse,” quipped Ralph Trapani, a consultant who is helping RFTA study future expansion of service and what it will cost. Federal and state funding for mass transit is drying up, so RFTA has to figure out how to pay to replace buses, maintain operations and supplement service to keep up to demand. The bus system hauled a record 5.57 million passengers last year. The survey was intended to help the RFTA board decide if they should pose a question to voters this year and, if so, what it should say. Vitale said there was plenty of encouraging news from the survey results. “We’re very much in a favorable political environment from many perspectives,” he said. First, 62 percent of the respondents said the region is “heading in the right direction” compared with 28 percent who felt is it on the wrong track. The remaining 10 percent were unsure. It was little surprise that 81 percent of respondents said traffic congestion is extremely serious, very serious or somewhat serious. The numbers were strongest in the upper valley. “Pitkin is what really jumps off the page there,” Vitale said. About 68 percent of respondents said the area receives a good value in services for its local taxes. RFTA got high marks — an “A” or a “B” grade — from 79 percent of those questioned. Vitale said 60 percent of voters were unfamiliar with the possible RFTA property tax proposal. When respondents were given information, the level of support increased slightly from the level before information was given. Ray said that shows an educational campaign could be effective. One of the critical decisions for RFTA is whether to seek an increase of 3 or 5 mill. The 5-mill levy would raise $19.5 million annually. It would increase annual residential property taxes by $36 for each $100,000 of actual value. The 3-mill levy would raise $12 million annually. It would increase residential property taxes by $22 for each $100,000 of actual value. 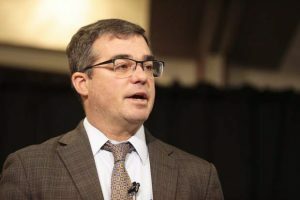 The survey showed support was about the same for the two amounts, though some opponents to the larger tax said they would vote for the smaller tax. The strongholds of opposition are older males who are registered as Republicans, according to Vitale. They probably cannot be won over, he said. Respondents with homes valued greater than $1 million also tended to be against the possible ballot questions, the consultants said. The RFTA board didn’t reach any conclusions but directed the staff to continue advancing on a path to pop a question in November. A “messaging committee” will meet in mid-February to frame a campaign theme. The RFTA board will begin work on draft ballot language at its March meeting. Public outreach efforts will be undertaken March through May. A simplified survey will be conducted in May and June. The board could be in a position by June to determine if the ballot question progresses.